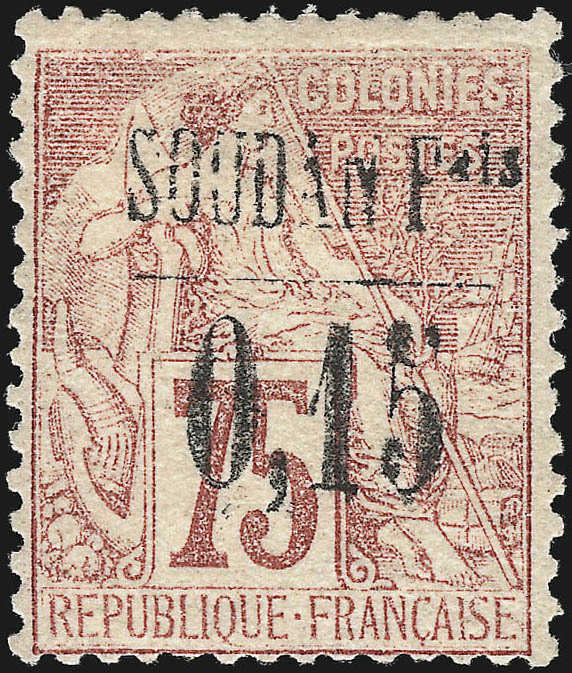 General issues of French Colonies surcharged. The organisation of the French colonies in north west Africa, around the Senegal and Niger rivers, was fluid for the 30 years from the 1890s to the 1920s. 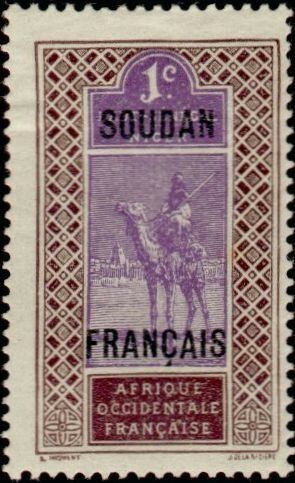 The first Sudan issue was in April 1894, surcharges on general French Colonies issues, followed in May by a standard issue of a dozen tablet types inscribed "SOUDAN FRANCAIS". In October 1899 the areas of French Sudan adjoining Dahomey, French Guinea, Ivory Coast and Senegal were transferred to those colonies and the remainder became Senegambia and Niger long enough for an issue of 13 tablet types. Scott  lists them separately, but Gibbons  includes them within French Sudan. 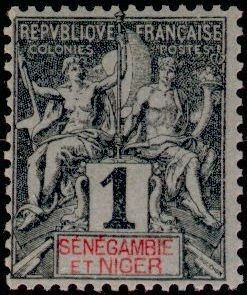 In October 1904, the protectorate became the colony of Upper Senegal and Niger. Again, Scott lists these separately, Gibbons does not. 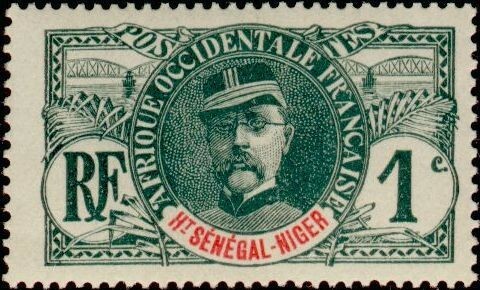 In December 1920, Niger Territory separated, leaving Upper Senegal which reverted to the name of French Sudan, the first issue being overprints of US&N. A part of Upper Volta was added in 1933. 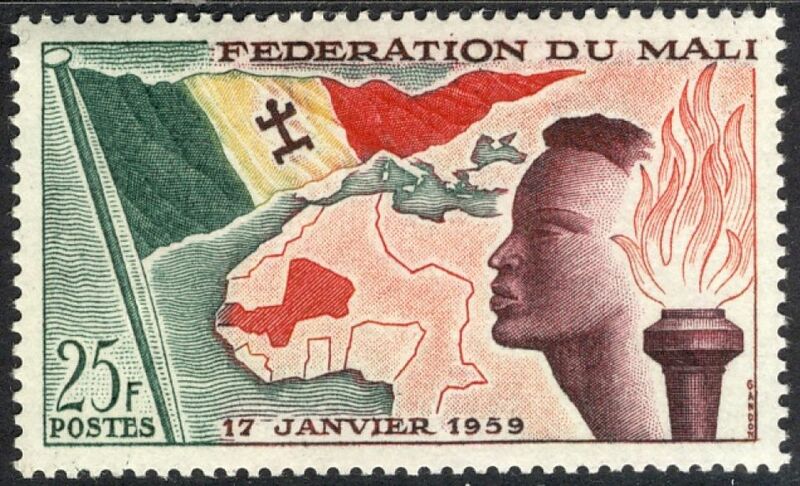 The stamps of French West Africa were used from 1944 to 1959. In April 1959 French Sudan and Senegal formed the Mali Federation. In 1958 French West Africa was broken up to become various independent states. The former French colonies of French Sudan and Senegal formed the Mali Federation. Senegal left the Federation in August 1960 to become the Republic of Senegal. 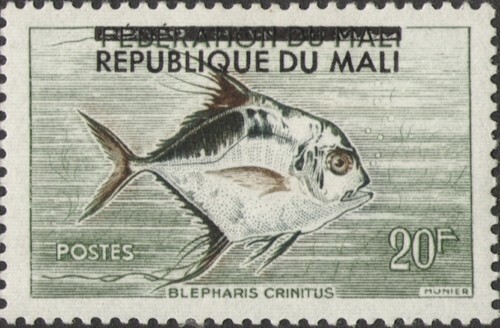 Mali (Sudan) became the Republic of Mali. Sources: ScS , SGP6 . Images from Siegel, colnect, Delcampe, David Olson.